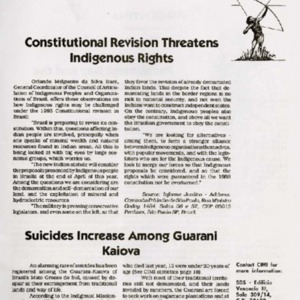 The 1993 Constitutional revision worries Indigenous groups in Brazil, in regards to demarcation of indigenous reserves and exploitation of natural resources on Indigenous lands. The Kuna have demarcated their territory. 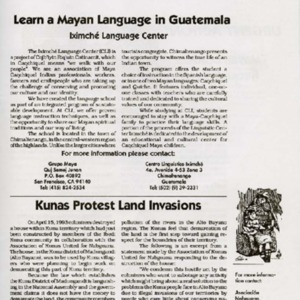 Colonizers recently destroyed a house within Kuna territory.